Perform functions to support Pat Tanzania in financial management in order to provide: accurate, current and complete disclosure of financial transactions; records that identify source and application of funds; effective control and accountability of funds, property and other assets; and comparison of expenditure versus budget amounts. 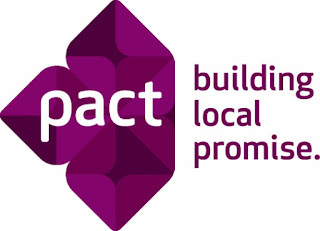 The Finance Assistant works with the Finance team to ensure that Pact’s financial policies and procedures and those of donors are adhered to all times and accurate financial records are maintained. • A Bachelor’s degree or Advance Diploma in Accounting or Finance. • NBAA Intermediate Stage Module D’or higher modules will be added advantage. •At least one (1) years’ experience working in the finance area, handling cash and making payments. • Working experience in posting of financial data in an accounting software. • Prior experience in working with donor funded organizations and managing a functional level in a busy environment. • Ability to work under pressure and meet deadlines. • Fluency in English and Swahili. • Experience on electronic banking is an added advantage. Perform functions to support Pact Tanzania’s financial management in order to provide: accurate, current and complete disclosure of financial transactions, records that identify source and application of funds, effective control and accountability of funds, property and other assets and comparison of expenditure versus budget amounts. The Finance Officer works with the Finance team to ensure that Pact’s financial management, policies and procedures and those of donors are adhered to all times and accurate financial records are maintained. • NBAA Intermediate Stage Module F, or higher modules will be added advantage. • Knowledge and familiarity with donors rules and regulations, especially USAID. • Prior experience working with online banking. • Knowledge of financial and accounting principles. • Working knowledge of accounting software, such as QuickBooks, ACCPAC, Serenic etc. • Ability to perform account reconciliations. • Excellent oral and written communication skills in both English and Kiswahili. • Computer literacy and familiarity with standard office computer applications. • Analytical and report presentation skills. • Ability to work effectively in a team environment. If you believe you are the ideal person we are looking for, please submit your application letter describing why you are the right candidate for this position, a curriculum vitae detailing your experience and three (3) professional referees from previous and current place of employment. Please send the application to our Email: humanresourcesTZ@pactworld.org with the heading or either Application for Finance Assistant or Finance Officer. Only the applications sent to this e- mail addresses will be reviewed.